The second in command, the vice-captain of the straw hats and the swordsman of the crew the “Pirate Hunter” Roronoa Zoro. A real badass it all it’s ways, but with one rather awkward flaw, being terrible with directions and getting lost embarrassingly easy. 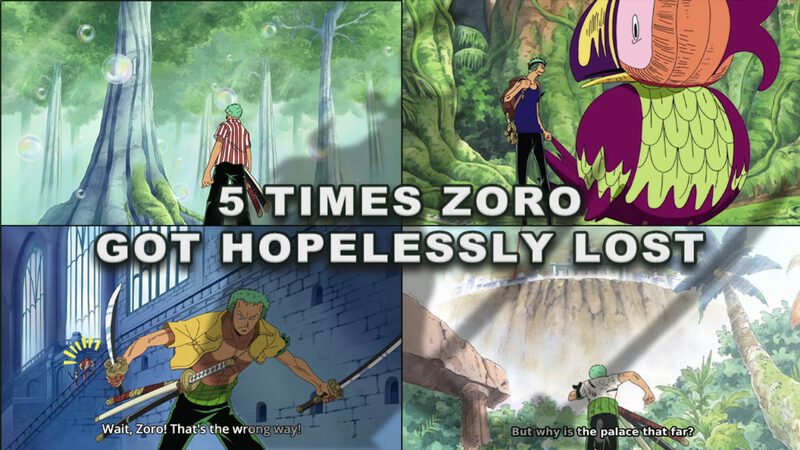 In this video, I’m going to showcase five times Zoro got hopelessly lost. In this post I explore the relatonship between Meruem and Komugi. I discuss all steps that lead Meruem to his brilliant defeat. In my honest opinion I see the Goro Goro no Mi devil fruit as the most powerful in the One Piece universe. Here are 7 reasons I believe makes this fruit the most powerful (read until the end because this fruit has one massive flaw). Lucci or Doflamingo fight, which is better? I would like to compare Lucci and Doflamingo fights with Luffy to determine which of the two was the best. Of course this is based on my own personal opinion, but feel free to debate in the comments.